Aerial view of St. John, British Virgin Islands. Destination British Virgin Islands, short BVI, they are part of the Virgin Islands, a group of islands and islets of the Lesser Antilles, located in the eastern Caribbean, 100 km (62 mi) east of Puerto Rico's coast, and 1,800 km (1120 mi) southeast of Miami. 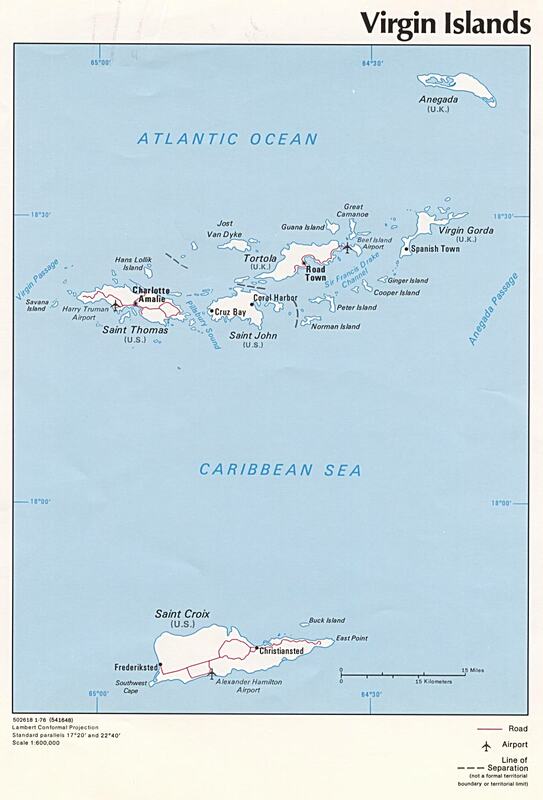 The BVI are a British overseas territory, there are four main islands and some smaller ones. The major islands are Tortola, which is home to Road Town, the capital and largest city of the territory, Virgin Gorda, Anegada, and Jost Van Dyke. 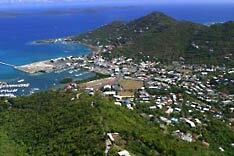 The BVI have a population of 28,000 people. Spoken language is English. Spanish is spoken by Puerto Rican, Dominican and other Spanish-speaking immigrants. The British Virgin Islands comprise more than 40 Caribbean islands and islets, 16 of them are inhabited. First settled by the Dutch in 1648, the islands were annexed in 1672 by the English. The economy of BVI is closely tied to the larger and more populous US Virgin Islands to the west; the US dollar is the legal currency. There are lots of deals online to help save on last minute trips to the islands as well as a number of all inclusive resorts. Government: Overseas territory of the UK with internal self-governing. Location: Caribbean, east of Puerto Rico. Terrain: Coral islands are relatively flat; the volcanic islands steep and hilly. Climate: Subtropical; humid; temperatures moderated by trade winds. Ethnic Groups: Black 83%, White, Indian, Asian and mixed. Natural resources: Sun, sand, sea, surf. Agriculture products: Fruits, vegetables; livestock, poultry; fish. Industries: Tourism, light industry, construction, rum, concrete block, offshore financial sevice. British Virgin Islands Gateway to the Government, the site provides a broad spectrum of information related to the BVI. Directory of UK Organizations Abroad. Political map of the Virgin Islands. 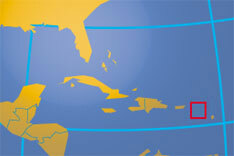 Map based Virgin Islands website. Searchable satellite view of Virgin Islands. The weekly authoritative guide to what's happening in the British Virgin Islands, features the islands' best clubs, top bands and most popular community events. Governmental department for Development Planning. Governmental department for Trade and Investment Promotion. Ports Authority of the British Virgin Islands. 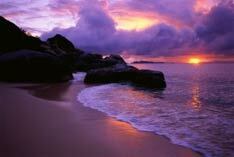 Discover British Virgin Islands with its islands: Anegada, Jost Van Dyke, Virgin Gorda, Tortola. Highest point: Mount Sage. The official site of the BVI Tourist Board. An extensive online travel guide for the British Virgin Islands. BVI Tourist Board's guide to Tortola. BVI Tourist Board's guide to Virgin Gorda. BVI Tourist Board's guide to Jost Van Dyke. BVI Tourist Board's guide to Anegada. The weekly updated BVI event guide. Institution for higher education in the BVI. ARK is dedicated to protect the BVI's marine environment. Environmental Planning for Island Development. Site about the Trust and the National Parks of BVI. History of the Virgin Islands. Sources of information on Virgin Islands' history and culture at UVI Libraries. Danish National Archives' website on the history of the Danish West Indies, 1671-1917.